I get this question once a week or so; and when I do I smile a bit when I say "yes, but they get big pretty quick. ". For the farm buyers - the people who are going to be raising their own piglet out for meat, this is the answer that they expect and appreciate. A healthy fast-growing pig is what you want to raise, and they're happy. But there's another group of people who aren't so happy -- the teacup pig crowd. Now don't get me wrong -- I love pigs, and enjoy having them on my farm and I enjoy working with them. As far as livestock goes, I have a lot more contact with the pigs than I do with the cattle, for instance, or the chickens that we have in quantities. 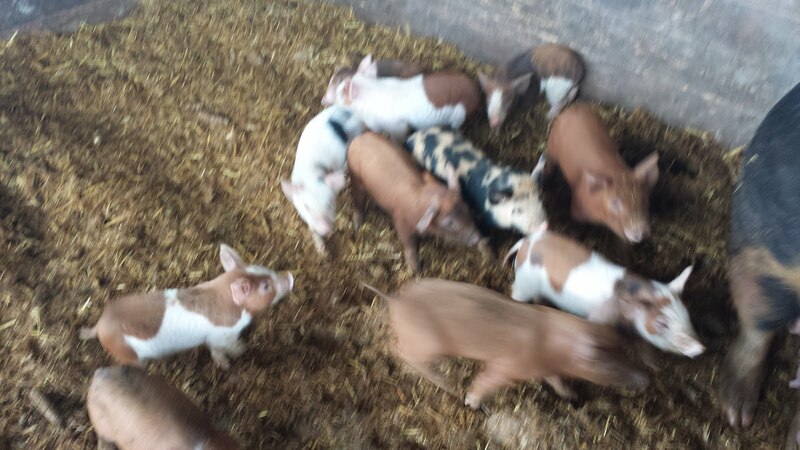 So if you'd like to add pigs as part of your small farm, or large farm, I'm there for you. 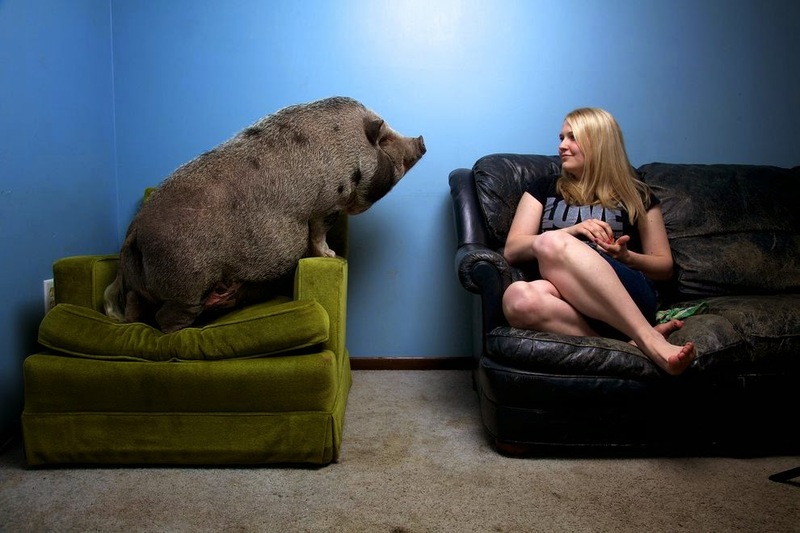 But I'm not there for you if you're interested in having them as a pet, particularly if you think that the pig won't get big at some point. Pigs, domestic pigs have been a valuable contributor to farms for at least 8,000 years. But the value that they represent is for their ability to grow fast, and convert otherwise inedible stuff, into good pork efficiently. I've written in the past about animal fads fleecing farmers, but this is a little different. People are selling piglets to consumers with the understanding that they'll never get big. And apparently it's been happening a lot -- the article linked below the picture claims 300,000 times -- and that's a big number. If you've got an unwanted pig, there's an easy solution that is time tested. Just eat it. You don't need a rescue, you don't need $400,000 in donations. You don't need to think too hard about it. Pork is delicious and if you can't do the deed... well, I'm sure there's a farm-kill guy out there that will take care of it for you. 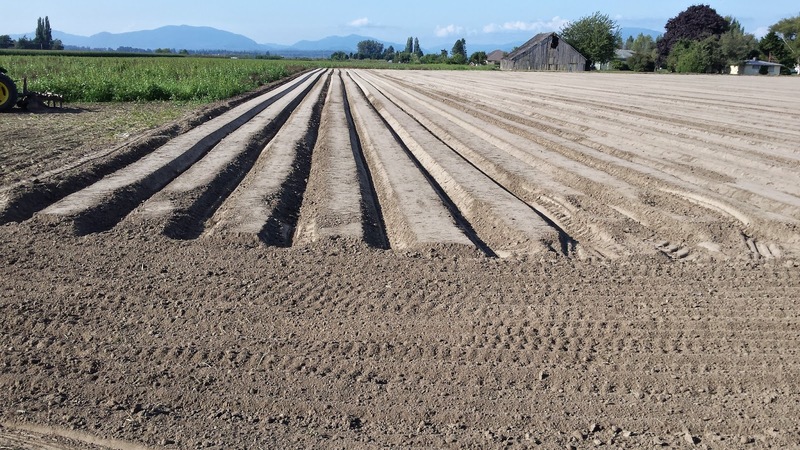 "“We’re going to have to produce more food in the next 40 years than we have in the last 10,000,” says William G. Lesher, former chief economist for the USDA. Let me restate that; if you take all of the food produced for the last 10,000 years and total it all up, we're going to have to produce that much food, an equal amount, in the next 35 years. Farmland, arable land, is a pretty precious commodity, and it'll get more precious as time goes by. I just got done spending 3 weeks in arizona and I was reminded when I was there what a precious thing my green fields are. How lucky I was to live in an area where irrigation hasn't been neccesary, and in fact, where it's least likely to be impacted by climate change. My farm, through happy chance, is in one of the areas estimated least impacted by global warming. Click on the link below the picture, and scroll around there. Take a look at the area around that green line of forage you see on the horizon. On the drive back I took some backroads through Nevada and Utah, and just at the time of year that most of the producers were harvesting their crops. They produce some really nice forage here -- you have basically endless sunshine (at least compared to my area) and apparently plenty of water. Well, not really. When I stopped at a store to buy a soda, I struck up a conversation with a local. 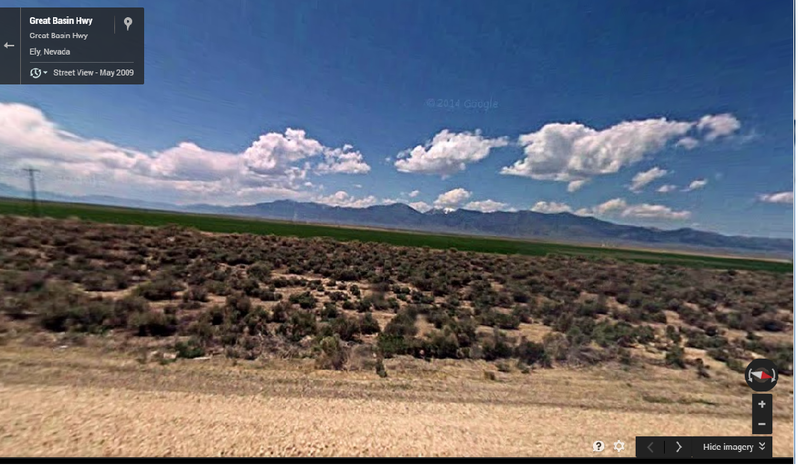 Given that the non-irrigated acres are all sagebrush desert, where did the water come from? "Wells", was the one-word answer. Drilled 300 to 500' down, and big pumps to bring the water to the surface. 300 feet seemed very deep to me -- and I asked about the price. "oh, we pay about $100 a foot to drill a well, all included. ". So $30,000 to $50k a well. And what about the water table? "Well, it's been going down for years; now that they've got the new mine going again it's going down pretty fast. " What happens when they run out of water? Or the water that they have is too deep to economically tap it? Or a growing city, like las vegas, buys up the water rights? "well, I guess we'll all be out of business". Said with a relaxed drawl, but he meant every word. Most of these crops are raised on fossil water -- water that isn't being replenished. And on fertilizers based on fossil fuels. And this is the state of a lot of commercial agriculture in our desert southwest. Your romaine lettuce and handful of smoked almonds, too. There's been a drought in arizona for 15 years now. I'm wondering when they're going to stop calling it a drought and just say "this is the new normal -- this is the way it is". What I do in my farming practice is that I strive to maintain an integrated system, and to minimize the inputs as much as possible. So no chemical fertizers, no herbicides, no pesticides. 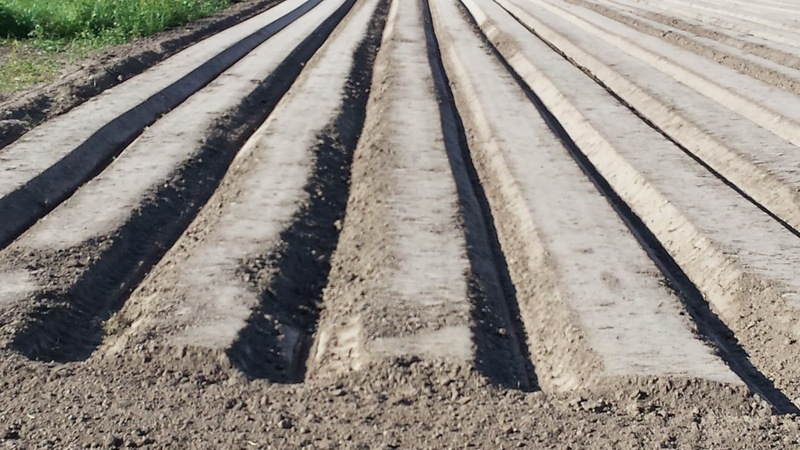 Manure, sun and water are the primary inputs, and the sun and water get here by themselves. The manure I have to move around a bit, but that's ok. I look around my little valley and I see perfectly good farmland being cut up into little tiny housing parcels, and going fallow. Or worse than fallow - growing useless lawns - it's tilled and fertilized and irrigated, but benefits no creature except the owner, who thinks that a big lawn is a sign of prestige. My neighbor came over one day and offered to mow my front yard area; and I thought to myself "why would I want to waste that forage?" and declined, but he saw my meadow grass as an eyesore. A week or two of cows on it cleaned it up, and I did end up brush hogging it to cut the thistles down that the cattle (and I) don't like, but and it showed me a basic fundamental gap between what they thought of the land and what I think. Farmland, foodland, is held in trust. And if you own a good chunk of it, I think you're duty bound to produce food from it. And if you can't, maybe you shouldn't be on foodland. Because we're going to need every single acre soon, and they're not making any more of it. I worked my way through college at during my early career as a white water raft guide; and 30 years later I'm still loving the water and the trips. One of my favorite trips is rowing a raft down the grand canyon, which is a pretty big trip. You didn't know I was gone? about three weeks; took my first vacation in 4 years to do this trip. redwall from bruce king on Vimeo. Redwall cavern is a huge cavity that the river has carved into the side of the canyon that one of the early explorers estimated could hold 50,000 people. It's a favorite river stop for boaters and is only reachable by raft. below redwall 1 from bruce king on Vimeo. There's hundreds of rapids on the colorado, some big, and some small. but most of the trip is relatively calm water through some of the best scenery and geology on this planet. The footage above was taken a few hundred yards downstream of redwall cavern. granite from bruce king on Vimeo. There are rapids, however. The footage above is a run through granite rapid, one of the bigger ones on the canyon. I think it loses something from the wide-angle lense though -- this is a big rapid that flips many boats. Notice that there's a horizon line that prevents you from seeing downstream; this is a feature of many large grand canyon rapids. lava falls from bruce king on Vimeo. The footage above is a run of the largest rapid on the river, and the one that causes many rafters chills and nightmares. Lava falls was well-behaved the day I ran it, but I've flipped rafts in this rapid many times, and I always take it seriously. hermit from bruce king on Vimeo. Hermit rapid is one of my favorites. A big wavetrain, good clean fun. If you'd like to do a trip like this you'll need to get a permit from the national park service; they open permit applications for the month of february only, and its $25 to apply. The permits are issued on a lottery basis, and you may wait years, or get one right away. This particular trip was internet-based. I've been down a number of times and was invited by the trip leader (Thank you, Tim!) and had a good time with the characters that were his friends and other folks he found. Our group was 11 people on 5 rafts. alfalfa in the back, alfalfa grass in the foreground. Across the top is the corn field. Just got down with the second cutting of the grass and alfalfa fields today. Stacked 1,120 80lb bales in the barn, bringing the total for the two cuttings to 2,592 bales, or roughly 103 tons of hay. 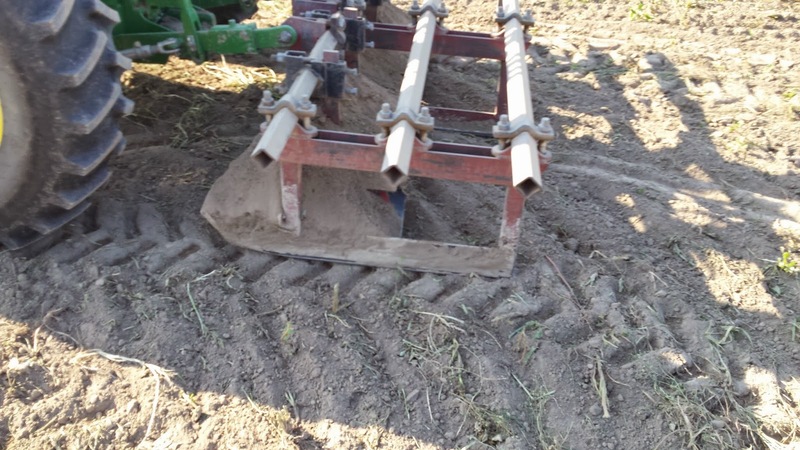 With this second cutting my costs have gone down; I can spread the costs of the initial tilling and planting over more tons of hay. Next year I won't have the tillage or planting costs at all -- and I'm hoping that this stand of grass and alfalfa lasts for 3 to 4 years. If you want to see the original outline of costs, check here. 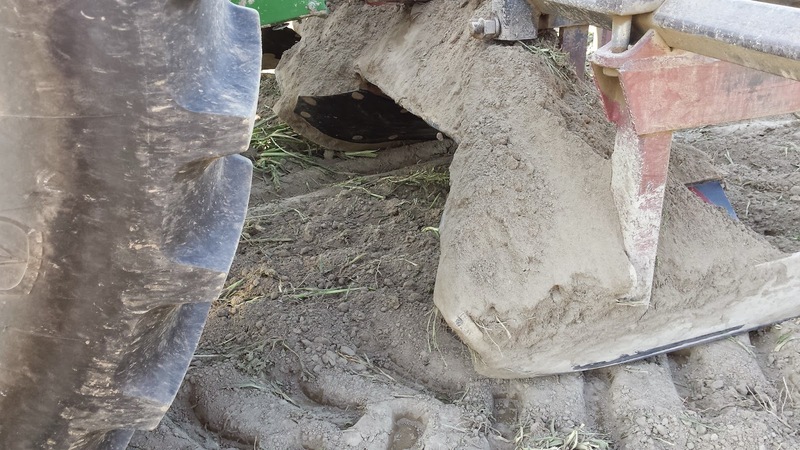 Add to the initial costs another 6 tractor days for harvest at $350/day and another 6 man-days of labor at $150/day to stack it and we're talking about costs of about $22,000 to produce 103 tons of hay or roughly $8.40/bale... $220 a ton. 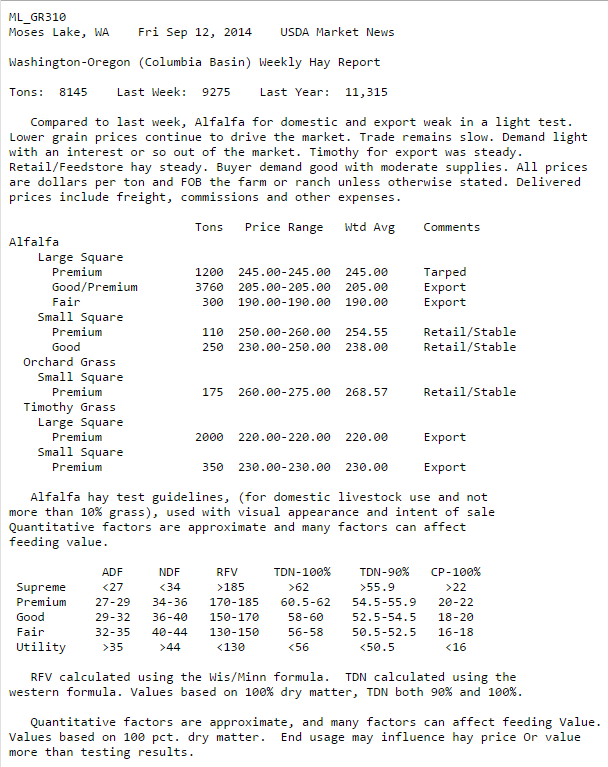 Wholesale price for orchard grass in small square bales is $268/ton right now, with small square bales of alfalfa going for $254/ton. 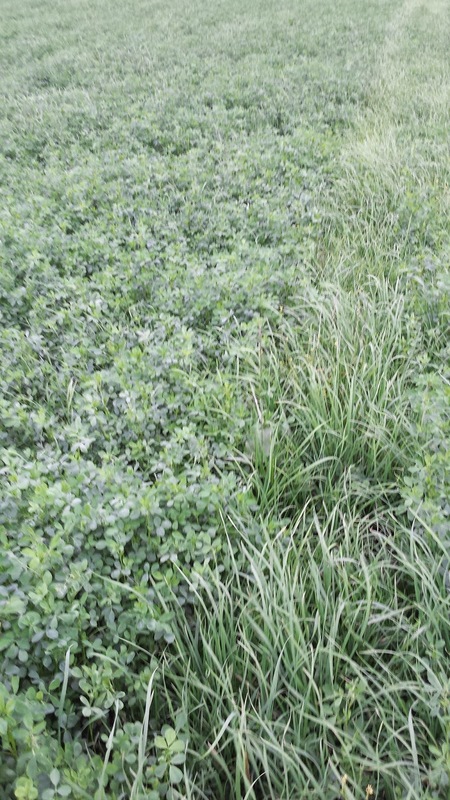 Alfalfa and orchard grass are the types of forage I grew. If I were to sell it i'd make a small profit this year on the forage at current wholesale rates. That's good to know. I'm going to call this a qualified success. 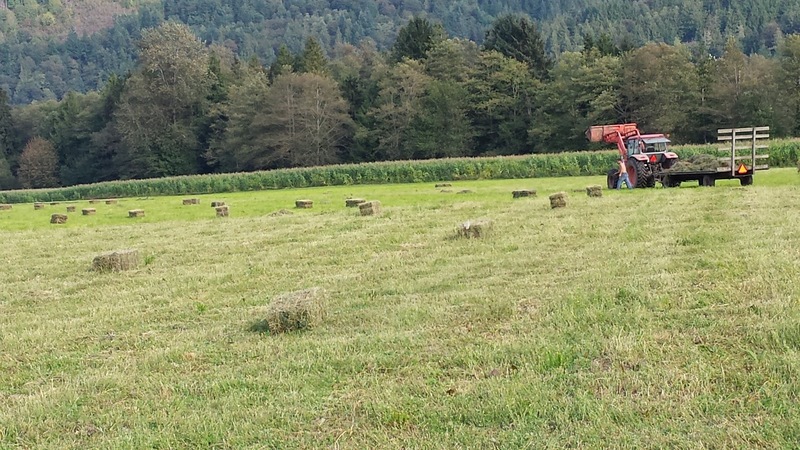 The bales look and smell good, and it's a great feeling to know that I'll have extra hay this winter. The corn isn't ready to be chopped yet; it's all tasseled and I'm waiting for the kernels on the corn cobs to fill out. As I write this I can hear the rain coming down, which is good. It's been dry the last few weeks, and some rain is just what the doctor ordered. The corn is 7-9' tall and I'm crossing my fingers that I get enough warm weather to finish it out, given our late planting this year. Looking at the corn every day to figure out whether we can chop it or not. The corn looks good, and I'm looking forward to being able to figure out what the yield is per acre. I'll be using a two-row chopper borrowed from a farmer who no longer uses it, he bought a self-propelled harvestor and this one is surplus. His comment? "your tractor is only 125hp. You'll have a hard time hurting it, and it'll do some good to have it spun and greased". 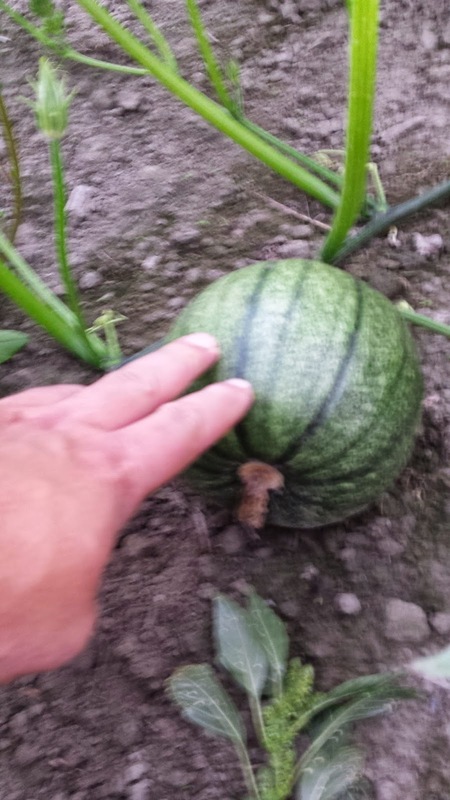 I planted howden pumpkins, acorn squash and sugar pumpkins. the howdens like a lot of space and are agressive growers. The acorn are a little less agressive, but still good, and the sugar pumpkins are the least feisty. 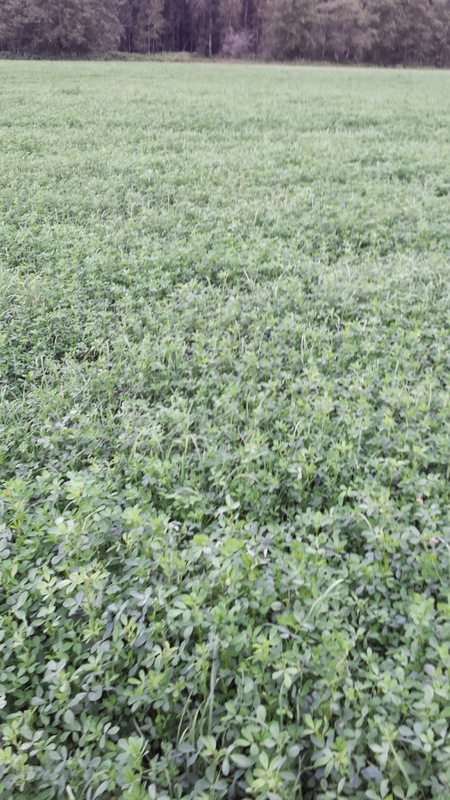 I've been pretty pleased by the alfalfa this year. I'm wanting to let it get as mature as I can before I cut, but I'm having to watch the calendar, too. I want to let it have at least 6 weeks of regrowth time before the last frost, and we're getting very close to that line. So it's a bit of a guessing game, but I think I'll be able to get another 900 bales off of this field this year. That's around 40 more tons of hay. I'm happier with the pure-alfalfa plots than I am with the grass-alfalfa mix. The pure alfafa seems to have eliminated more weeds than the mix, but it does take a bit longer to dry when cut. So far so good. Every cutting I take further dilutes the cost of the inputs -- seed and tillage -- and I think next year I'll be able to get 3 cuttings instead of the two I've done this year. I think I'm a go on having all of my forage needs provided by the property that I own.